Coors Field is where bad pitchers go when they die. Fly outs in any other stadium are home runs there. But in 1996 Hideo Nomo threw a no hitter there for the Dodgers. The cool part is oERA at Coors that season was 5.12 so this was a pretty big deal. And as far as I can tell this was the only no hitter thrown in Denver to date. You know i had to get this in somewhere! Edited by Guard Dog, 02 March 2019 - 04:17 AM. Of course we all know what happened in game 7. But it was still a very cool moment. Incidentally if you've ever seen the movie Good Will Hunting this was the HR Matt Damon & Robin Williams were talking about. Edited by Guard Dog, 03 March 2019 - 05:08 AM. I've never heard of Melanie Newman but Suzie Cool definitely has broadcast chops. I believe this is the first time the whole broadcast team is female. It's probably a much bigger deal than it should be because women have been doing PbP & Color for years now. Just like male broadcaster some are better than others. Good is good no matter the gender of the voice. John Sterling and Susan Walderman on the Yankees radio team have been together for years and do a great job. Edited by Guard Dog, 03 March 2019 - 05:29 AM. This might be higher on the list but to tell the truth it had little impact on the game. Certainly not proportionate to the aftermath. Bartman did't walk Luis Castillo. He didn't throw a wild pitch that put Juan Pierre on 3rd. He didn't give up a 2 run single to Ivan Rodriguez or cause Alex Gonzalez to commit a fielding error that allowed Castillo to score and load the bases. He didn't give up a double on the next AB to Derek Lee. And he wasn't even at Game 7. Let's face it the Cubs were cursed! Edited by Guard Dog, 04 March 2019 - 11:51 PM. Worst to First comebacks from one season to the next are common enough in the era of free agency. But doing it in season is pretty rare. To say the '69 Mets started slow would be an understatement. Going into June they had a .475 winning percentage and were 11 games out of first. But no one expected anything from them that year so what happened next was pretty improbable. The Mets went 79-39 the rest f the way and won the pennant by 8 games. Then swept the Braves and won the WS against a very strong Orioles team in 5 games. George Davis stole home for the White Sox during the 1906 World Series. 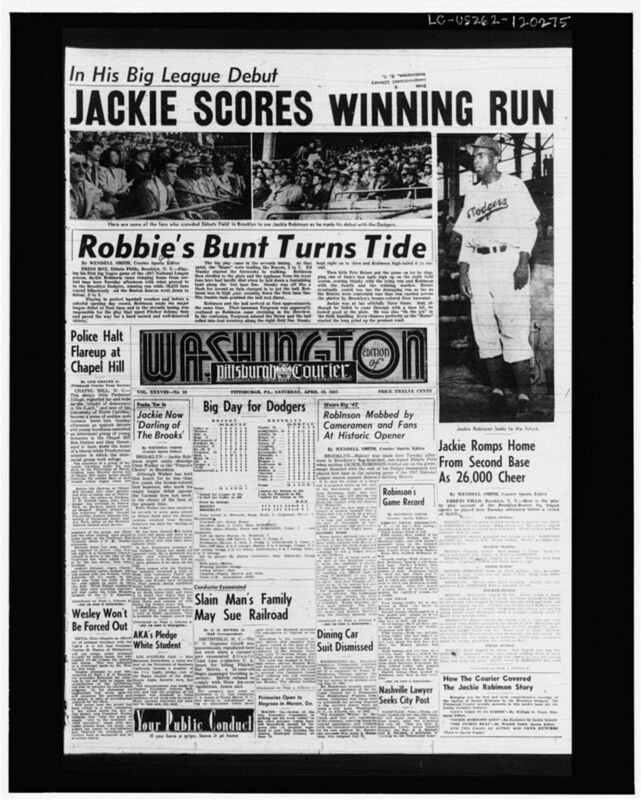 I didn't happen again for 49 years but when it did Jackie made it look easy. It takes guts to make this move. But one thing Robinson had in great quantities was guts! Saw that one on CNNs site. Some catchers are also complaining that it would alter the way catchers do their thing as it was described as having an art to it. Any of the distance changes is the biggest concern I see. I can't really decide wear I stand on the auto-called strikes and balls, but it sounds like the system still needs work regardless. For now it's a good way to weed out bad umps, I suppose. Goose Gossage is still mad about this by the way! On a different note how cool is it to hear Vin Scully & Ernie Harwell in one post? Edited by Guard Dog, 09 March 2019 - 04:56 AM. Edited by Guard Dog, 09 March 2019 - 10:04 PM. The 2021 WS will be the Padres vs the Blue Jays. Book it! Edited by Guard Dog, 12 March 2019 - 03:01 AM. Rickey Henderson steals #939 to pass Lou Brock. He went on to swipe 467 more in his career for a staggering 1406 stolen bases. Stealing is very much out of favor in the MLB right now so it may be a very long time before this record is broken. In fact, like Cal Ripken's 2131 game streak it may never be. Jose Reyes and Ichiro Suzuki are the closest active players and they have 517 and 509 respectively. Reyes is 35 so his stealing days are behind him and Suzuki is only playing in two more games.